Today, I want to take a minute to thank you guys for following me for 200 episodes. A small milestones but still I don't forget everybody who's been on this journey with me from the beginning. Today I am going to give you a super cool, funny tip that can help you get huge contracts. This is a technique I used and took it to the next level. Sounds interesting? Then listen to today's episode. What Kind Of Blog Should You Start? Can I Make Money Blogging? My name is Martin and I’m the creator of the MARTIN EBONGUE BLOG. Understanding how to create passive income, how to start businesses that run without me & how to make money online changed my existence. It allowed me to travel full-time, have ton of fun and live life on my own terms. 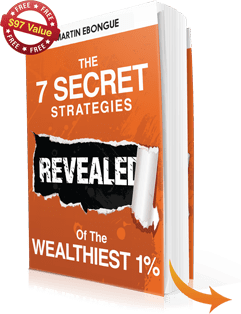 From Being Stuck At A Job I Didn’t Like To Building, Growing And Scaling My Lifestyle Business… Learn the 7 Powerful Tips that made me $167,897.92 in my first year!